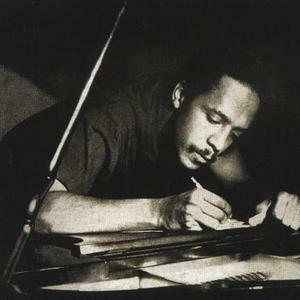 Earl Rudolph "Bud" Powell (September 27, 1924 ? July 31, 1966) was one of the most influential pianists in the history of jazz. Along with Charlie Parker and Dizzy Gillespie he was instrumental in the development of bebop, and his virtuosity as a pianist led many to call him "the Charlie Parker of the piano". Powell was perhaps the first pianist to vocalize on the piano, meaning that he transfered his vocalized improvisations directly through his hands to the instrument. This gave his music a deep connection to time, which is an artifact of the human voice. Powell was perhaps the first pianist to vocalize on the piano, meaning that he transfered his vocalized improvisations directly through his hands to the instrument. This gave his music a deep connection to time, which is an artifact of the human voice. Previously, horn players were more likely to express their improvisations vocally, as the mouth and breath are directly tied to the performance of horn players. Powell suffered from Bi-Polar Disorder, and in November 1947, Powell was admitted to Creedmoor Psychiatric Center, where he stayed for more than a year, receiving electroconvulsive therapy which caused severe memory loss. The young Jackie McLean and Sonny Rollins became friendly with Powell on his release from the hospital, and Powell recommended McLean to Miles Davis. However, Powell suffered from mental illness throughout his life, and had a reputation for his strange behaviour. In fact his problems, exacerbated by a beating from the police in 1945 for being disorderly, could all be attributed to being a manic depressive, although his illness was almost certainly a key driver of his immense creative talent. He was also an alcoholic, and even small quantities of alcohol had a profound effect on his character, making him aggressive. Powell's continued rivalry with Charlie Parker, while essential to the production of brilliant music, was also the subject of disruptive feuding and bitterness on the bandstand, as a result of Powell's troubled mental and physical condition. He spent all of 1952 (and parts of many subsequent years) in a hospital. When he was out of the hospital, he was often locked up in a hotel room and was usually denied receiving the money he earned performing. It is generally agreed that his best recordings are those made prior to 1954, both for Blue Note Records and for Norman Granz (at Mercury Records, Norgran Records, clef records and later on Verve Records). After 1953 (when Powell attempted suicide), his style became darker and slower. Many jazz critics pronounced him "washed up" during the last decade of his career. There were a few recordings which never should have been issued (Verve from January 1955 and Roulette Oct. 1964). Still, he continued to play with great intensity even without the speed that made him famous in the 1940s. His late 1950s Blue Note recordings are recommended. Bud performed regularly with drummer Kenny Clarke and bassists Oscar Pettiford or Pierre Michelot. He performed brilliantly as a sideman for Coleman Hawkins, Dizzy Gillespie, and Dexter Gordon on recordings in the early 1960s. As late as 1962 he recorded concerts in Lausanne and Geneva, Switzerland, in which he played as brilliantly as he had played in the late 1940s. Powell moved to France in 1959, when his life was extended by several years under the care of a fan named Francis Paudras, whose book "Dance of the Infidels" is required reading for any Powell fan. Paudras' friendship produced many impromptu recordings and was the basis for the 1987 Bernard Tavenier film "Round Midnight", for which Dexter Gordon received a best actor Oscar nomination (as a fictional composite of Bud Powell and Lester Young). Paudras and Powell returned to Birdland in the fall of 1964 to initial critical acclaim. Bud despised the drummer he had to play with and soon lost his regular engagement at Birdland. After Paudras returned to France without Powell, Esp-Disk's founder became Bud's legal guardian, but let Bud self-destruct from late 1964 until his death in July, 1966. Bud's last recordings were a haunting, sparse "Round Midnight" from Carnegie Hall in March 1965 and other trio tracks from January 1966 on the mysterious "Ups 'n Downs" album. He is survived by his daughter Celia, who has been reissuing Paudras' recordings of her father on the Pablo and Piadrum labels.